WELL FINGERS CROSSED! Here's hoping! We hadn't played that many games against the Hornets in the seasons prior to this fixture. Both clubs had yo yo'd up and down the domestic divisions, meeting rarely in mid climb or drop. 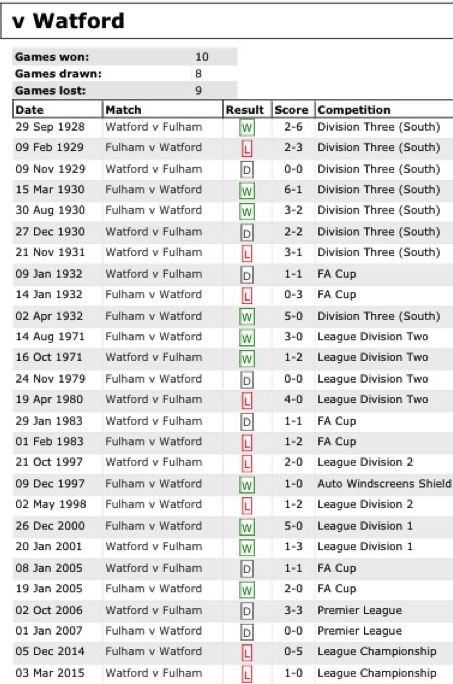 Our record shows that Fulham just shade the results by one victory but the last four games yielded two draws and two defeats so this is a trend we'll be keen to overturn, particularly after the lack of points against City. This layest fixtur proved to be as tough as we'd anticipated and Watford demonstrated why they are bothering the big six after the first few games, if they can keep this up, they'll be hovering around the European qualifying places. As it turned out, at the final whistle at least we'd finished the game honours even, which considering the way the first sixty minutes had gone, that wasn't so bad. Well, another game and yet another altered defence with Ryan Sessegnon at left back, Fosu-Mensah at right back and Calum Chambers pairing with Alfie Mawson in the centre of the back 4. Bettinelli started in goal. Jean Michaél Seri, Stefan Johansen and Kevin MacDonald composed a three man midfield and the three front players were André Schürrle, Luciano Vietto with Aleksandar Mitrovic making up the starting eleven. Considering we have the worst defensive record in the league to date, this was an interesting concept but with so many new additions to the squad, they all have to be able to slot in and make a mark so I guess that it’s best to blood them as early as possible, for their own benefit as well as for the players around them. All the same, it could prove to be a risky concept but it’s essential for the Manager to know exactly what his options are as the season progresses. 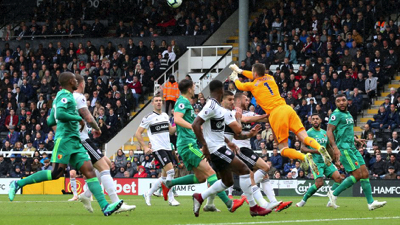 If we’ve learned anything from our first five games, it’s been clear that the loss of Ream from injury has been immense and that Tom Cairney has missed the last few games and is still unavailable adds a bitter additional blow. I think also, that not acquiring Matt Targett has damaged the balance of our defence, by the end of last season, that unit was pretty dependable, the major benefit being that Ryan Sessegnon was free to attack at will. On the right, yes, Fredericks has gone for good but Christie looks like a pretty good replacement and will only get better. Going into this fixture them the feeling was that Watford should really test the whole arrangement as they are physically strong and Deeney and Andre Gray can be a right handful, tellingly this was an another unchanged lie up for the Hornets for the sixth game in succession. Under coach Javi Gracia, they have made a wonderful start to the campaign and have given Spurs and Palace a beating, something we were unable to accomplish in our games against these ‘local’ rivals. The game kicked off with Watford dominating possession and really pushing onto our team, they settled very quickly and frankly looked dangerous as they pushed forward, we couldn’t win the ball and in the first minute when we did receive it, it was immediately under pressure and given away. Our lads just weren’t settling down and looked like a team who are still getting used to playing together. At this level, there is no time at all to look at the scenery, every move has to be spot on and as yet Fulham have not gelled as a team and Watford were exploiting this for all their worth, our nerves visibly showing as we struggled to make passes count. Early Watford pressure on the eighteen yard line caused chaos with our defence, from a throw in on the left, three Watford players bullied Chambers with Mawson an onlooker all his around the centre of the area forcing Seri to race in to get involved, instantly the ball was rolled to the right amd met by the incoming Gray who smacked it past Bettinelli, 0-1 and still only 97 seconds on the clock! Almost right from the restart it was a similar story, the Watford team pushed through down the right and swamped our penalty area with bodies, six of them harassing and worrying our nervous defence, they cut through and over-ran us completely, coming close to doubling their lead. it was looking decidedly nervy out there as the clearance reached Mitrovic who flicked the ball into the centre to Schürrle who with a lovely pass set Vietto off on a terrific run, leaving all in his wake and with only the goalie to beat who went to ground. Sadly, Luciano shot straight at him, the rebound came straight back to Vietto’s feet but with Foster stranded and a wide open goal beckoning, with Johansen and Mitro on hand, he went for glory and curled the ball wide, a real missed opportunity. It definitely didn’t look like it was going to be our day yet again. The half continued in a similar vein, Watford looked so much more composed and were moving around the pitch in a very accomplished fashion, putting us under pressure with every incursion, in short, we were hardly in the game and despite one or two good interchanges, hardly made a dent in the Watford back line. In the 13th minute the Watford attack encroached into the Fulham penalty area following a long cross field pass from just inside the Fulham half on the left by Capoue, reached Hughes just on the edge of the right hand side of the 10 yard area, his pass inside Sessegnon was met by a diagonal run by Gray whose resultant shot/cross towards the goal ping-ponged inside the six yard box, part controlled by Chambers with Deeney harassing him, nicking the ball and shooting at a covering Bettinelli, cascading off for a corner. The resulting corner was perfectly delivered, a Watford player (it happened so fast I completely missed who!) making a nuisance of himself by obstructing our goalie with only Sessegnon for cover and two Fulham defenders ball side. Naturally the oncoming Watford players evaded all defensive attempts to shut them out and Kabasele’s diving header struck Ryan square in the back and fell at the feet of Mitrovic who blasted the ball up field much to the relief of all of us. On the seventeenth minute, a long ball from the halfway line, just outside the Johnny Haynes touchline, looped over all and sundry to meet Mawson’s head as he ran into the D, his careless back header was a perfect pass for the ever mobile Gray who was foiled by a very quick recovery by Bettenelli who blocked the shot, to concede yet another corner. This game was all Watford and frankly the score could have 1-5 by this early stage. We just kept giving the ball away, it seemed that every time it looked as if we were at last settling down, keeping possession and creating some flowing movement, the pass would be short, careless or just terrible. On the 32nd minute we began a promising a break out which progressed to the right, Fosu-Mensa bringing the ball ten yards into the opponent’s half with bodies available in excellent offensive positions. A simple one-two with Vietto led to the return from the large Dutchman weakly rolling to Watford’s Doucore who fed Deeney in the Circle. He in turn was immediately clattered by Maxime Fosu-Mensa This was a studs up foul on Deeney’s shin which earned a card which probably should have been red but Atkinson waved the yellow instead, possibly because Deeney made light of the challenge, a close escape for the misfiring new boy. Again, Watford advanced with alacrity from the free kick, Hughes being tumbled in the area by Bettenelli as he shot, yet another hearts in mouths moment for we sufferers. I don’t like singling out individuals so this time it’s easy to say that nobody was covering themselves with much credit, even Seri who had looked quite commanding to begin with. Ream and Cairney, please come back, the Chambers, Mawson combination could well work out but at the moment they haven’t really played themselves into a confident combination. Chambers likes a wrestle and often seems pre-occupied with the physical side of the game rather than concentrating on his positioning, he was robbed time and again. Let’s hope it doesn’t take too long for the new guys to gel, after all, Tim ream took a while to settle. Vietto, Fosu-Mensa, et al look the part but so far have been unconvincing. Schürlle is somewhat lacking in pace but seems to like drifting wide but is capable of some sublime skills and is obviously a top class player, if somewhat tackle-shy. Seri has class but, he too, was guilty of a few examples of fundamental carelessness, maybe he also needs to adjust to the Premier League and Fulham’s style. Vietto in particular flatters to deceive, he is fast, skilful and gets into great positions, however he needs to calm down as his final ball when beating defenders is as bad as some of Frederick’s worst efforts. I think, though, that he has lots of potential and honestly hope he comes good as when he’s on the ball he appears to be an asset. Whinge over, it is after all early days yet and in Slavisa we have utter faith, if he chose these guys, that’s good enough for me. The teams came out for the second half and it was obvious that two changes had been made to the line-up by Slaisa, Denis Odoi replacing Alfie Mawson and Floyd Ayité coming on for Kevin McDonald, who hadn’t seemed to be his usual commanding self in the first half, we surmised he’d been carrying a knock. 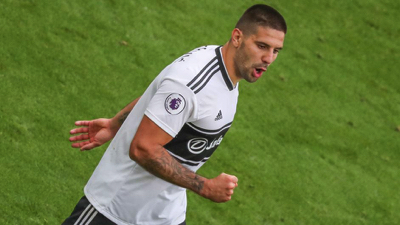 The change brought an immediate improvement to the side, both newcomers being involved from the off and suddenly it was Watford that were on the back foot, a great Schürlle cross from the right wing being narrowly headed over by a marauding Mitrovic, he must have been happy to get some supply again. Coming up to the hour mark and Watford broke, Gray unconvincing shooting to a sprawling Bettenelli, who gratefully accepted the ball. The game rolled on with honours just about even, Fulham marginally gaining the upper hand but to little effect. Then on 78 minutes, we dominated the midfield and Seri interchanged with Fosu-Mensa, his return to Seri was poked centrally to Schürlle who shot while falling backwards, the deflected ball spiralling left to be collected by Vietto who controlled it beautifully and beat the outrushing defender, Jaanmaat, with a cheeky header, picked up the ball and laid a firm left footed cross along the ground into the danger area where a jubilant Mitro pounced and beat the goalie to it, 1-1! Vietto was now showing confidence and looked good in possession, and much more involved, Ayité and Odoi were relentlessly stirring the team since their introduction, another great substitution by Jokanovich. Then, Vietto carried another attack forward releasing the ball to in the 89th minute to Mitrovic on the right 22 yards out his left footed shot from the edge of the eighteen yard line just saved by a diving Foster which gave us a corner which Seri took, Naturally, Mitro out leapt everybody by a head and shoulders (more like a half-torso) but his powerful header crashed off the bar having eaten the outstretched arm of the goalie. And that was that, at 30 minutes I would have taken a 1-1 but towards the end we so nearly sneaked an unlikely victory, C’est la vie Fulham Fans!